We still have plenty of zucchini here, so I decided to try zucchini bread again. Unfortunately it can be pretty high in added fat and sugar – not exactly what we’re looking for in a healthy diet. I took a recipe I found in an old cookbook I had on the bookshelf called America’s Best Recipes – A 1989 Hometown Collection, and since I’d already made it as written I decided to try a few changes. The original recipe had good flavor, but was a bit greasy and pretty high in sugar. So I worked with it and reduced the amount of added sugar and oil, and substituted whole wheat flour for some of the all-purpose flour. All in all these changes saved 40-60 calories, and 3-6 gm fat per slice – depending on how many slices you cut. Changes in sugar and carbohydrate was small, only about 2-4 gm. The resulting bread had good flavor and texture, and was much less greasy. I may change it further still to reduce the amount of sugar a little more, but here is the current recipe. Enjoy! Beat eggs in a large bowl until well beaten. Add sugars, oil, applesauce and vanilla, beating well. Combine cocoa, flours, soda, baking powder, salt, and cinnamon in a separate bowl. Add flour mixture to egg batter, stirring just until dry ingredients are moistened. Fold in zucchini and almonds. Pour batter into two well-greased and floured 9x5x3 inch loaf pans. Let sit for 10 minutes while oven preheats. Bake at 350° for 50 to 60 minutes or until a wooden toothpick inserted into the center of each loaf comes out clean. Let bread cool 10 minutes and then remove from pans and cool completely on a wire rack. Yields 2 loaves. Nutrition analysis determined using the USDA National Nutrient Database for Standard Reference. Zucchini. Mention it to any gardener and the first thought is “What will I do with all of it?” Zucchini is easy to grow; and it’s prolific – very prolific. Dare to grow more than one and you may end up feeding your neighbors as well as yourself. One hill of this abundant squash can produce more than even one family might eat by themselves. But don’t let that deter you. Low in calories, fat, and sodium, and filled with other good-for-you nutrients – zucchini is a healthy choice. Raw – dice and add it to fresh salads, or cut in strips to enjoy as a finger food. 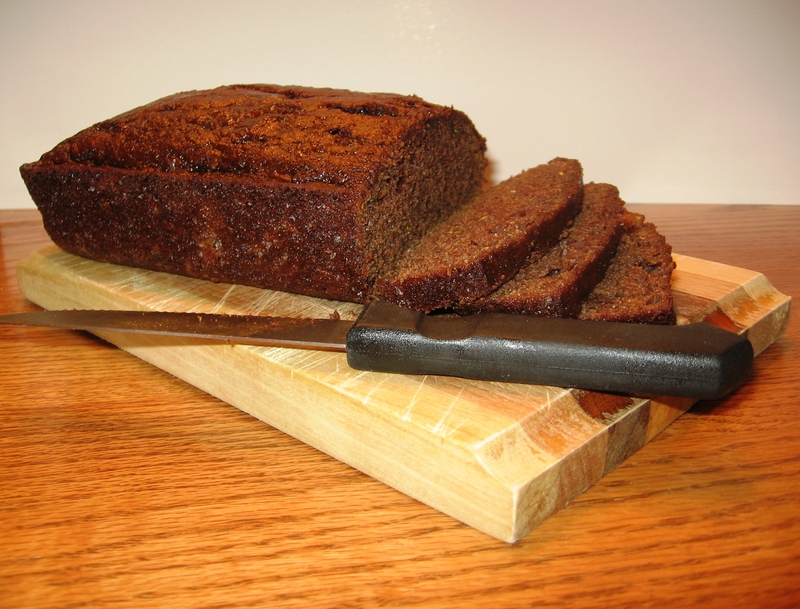 Zucchini bread – tastes great, but watch the amount of added oil and sugar. Too much and a healthy vegetable turns into a high calorie alternative. Stuffed – stuff it with your favorite fillings and bake. Sautéed – lightly sauté strips or slices in olive oil with peppers, onions, and other types of summer squash. Freeze – shred it and freeze to use later in the year in zucchini bread, quiche, or other mixed dishes. 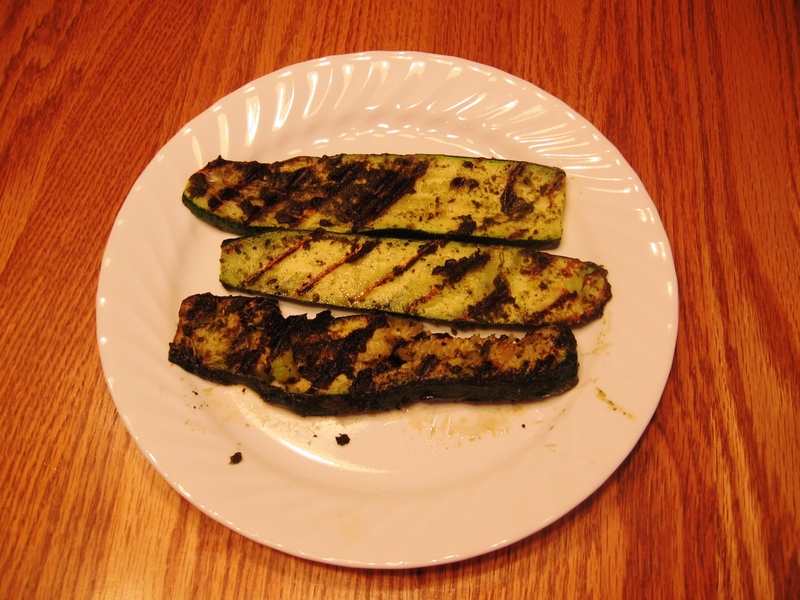 Grilled – lightly brush both sides with olive oil. Season as desired. Grill and enjoy. Share – give some to your neighbors, friends, family, and co-workers and let them enjoy this versatile summer vegetable. 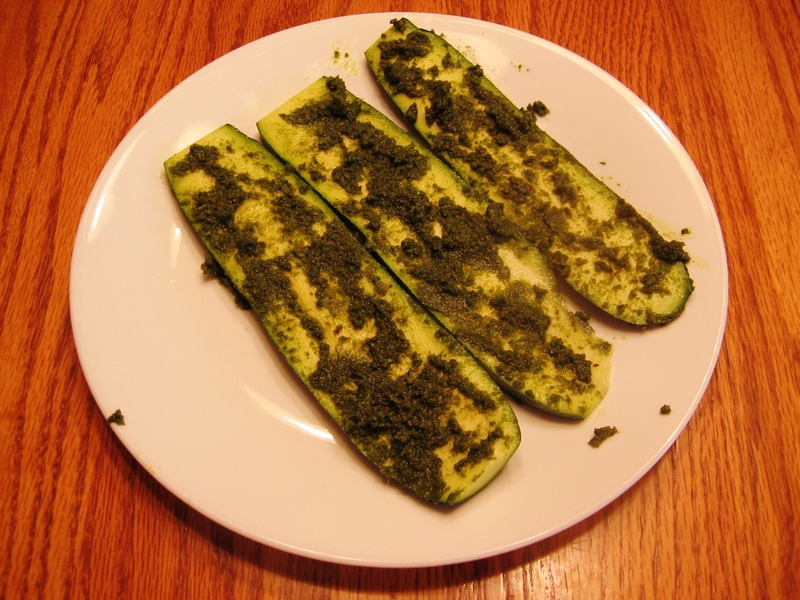 Slice zucchini length wise into ¼ inch slices. Rub enough pesto on both sides of each slice to coat. Grill on low to medium heat, 5-7 minutes on each side, until tender. Enjoy!